NASA's bold bet on Juno will pay off. Stay tuned. Memory-foam mattresses. The breathing devices firefighters wear. And infrared ear thermometers that give near-instant readings. NASA research that began with an eye toward the heavens has long made its way back to our lives on Earth. And now with Juno, which has reached the atmosphere of Jupiter after a five-year journey, NASA is poised for more developments. It's too early to say what breakthroughs the $1.1 billion Juno might bring about. But it is expected to pay dividends. Juno will orbit Jupiter as it seeks to understand the planet's origin and evolution. What it finds will help researchers understand how solar systems are assembled. Experts say Juno is just the latest example of how NASA's high-tech research efforts trickle down into our daily lives in beneficial ways. "There are advances in science and technology that have huge implications down the road -- they're just very difficult to predict at the time," said G. Scott Hubbard, a Stanford professor of aeronautics and astronautics and a former director of the NASA Ames Research Center. It's impossible to measure precisely just how good an investment NASA is. But some NASA watchers have tried, with estimates of $7 or $8 returned for ever $1 spent on NASA. "The stuff we take for granted would not exist without the space program," said Bill Nye, chief executive of the Planetary Society, pointing to GPS and weather reports as examples of technologies we owe to the country's investment in space research. "NASA is the best brand the U.S. has. Even people who hate the United States respect what NASA does." The Juno team includes representatives from eight different countries, according to NASA. Juno is an example of what scientists call basic research, which seeks to understand the world but isn't pursued for the sake of money. Hubbard pointed to several examples of breakthrough basic research that led to huge, billion-dollar industries. The invention of the transistor in 1947, which grew out of research efforts at Bell Labs, sparked the electronics industry. ARPANET, an early project of the Pentagon's research organization, evolved into today's Internet. One example of NASA's long-term payoffs are the beds many of us sleep on. Years ago NASA researchers developed special foam to cushion aircraft seats during crashes. Now memory foam is common in products such as Tempur-Pedic mattresses. Curt Niebur, lead program scientist for NASA's New Frontiers program, said Juno will advance the state of the art in radiation protection strategies for electronics and solar panels. This is due to the planet's extreme amount of radiation, which is a risk to spacecraft. "Juno's scientific return will be measured not just by how many questions it answers, but by how many new and more detailed questions it raises," Niebur said. He added that these findings will be used in future missions. 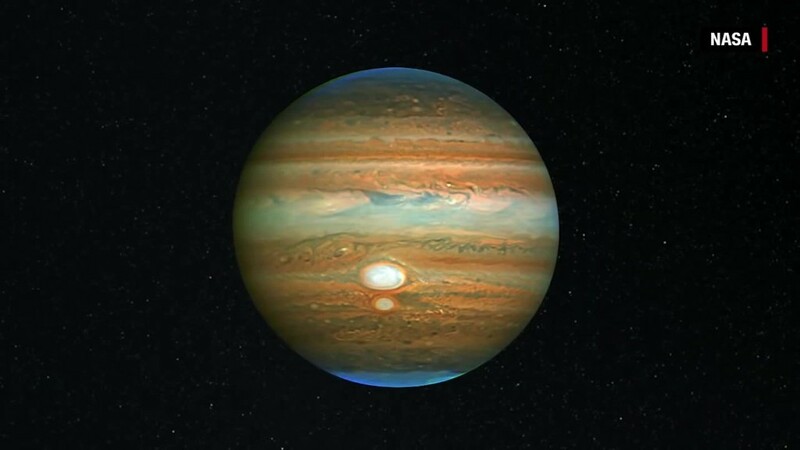 For Nye, who watched the news unfold in an auditorium at NASA's Jet Propulsion Lab in La Canada Flintridge, California, Juno's trip to Jupiter is the beginning of more exciting journeys. "You just don't know where it's going to lead," Nye said of the research. "We don't know, that's why we're exploring."